Happy pre-Friday my travel giraffes! Today’s post is part 2 of my Lisbon trip, the first part was all about what to do and today is all about, where to eat in Lisbon. I can wax lyrical about the food here but that’ll spoil the fun, so get ready to feast your eyes and take notes! On our first night, in Lisbon, we had dinner at Treestory mainly because they had desserts on display. I’m a sucker for desserts but surprisingly we didn’t have any because we were full. The food is not complicated but delicious. We both had grilled chicken and rice which was very flavoursome. Needless to, say, we went back for a second visit and had sangria with our meal and drank every last drop. Seating can be in or out on the terrace, with friendly staff and the occasional cat who likes to visit. There were some vegetarian and vegan dishes on the menu. Next up on my what to eat in Lisbon list is Restarante Gerreiro. Walking up to see Castelo Jorge can work up an appetite. We actually did over 10k steps so really needed to replenish before continuing. Hunger can either lead to a bad place or a good place and luckily we were in a good place. A wide selection on the menu but we decided to focus on the seafood. Tuna salad and a local fish with vegetables filled our bellies so we could continue our exploration. Not the best service but it wasn’t bad either. I wouldn’t suggest ordering the freshly squeezed lemon juice. 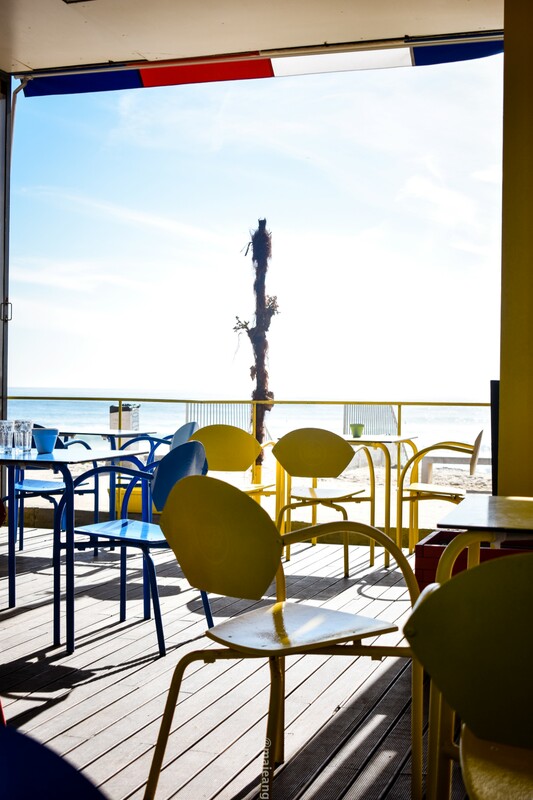 Technically not in Lisbon but it’s worth the visit if you go to Costa da Caparica beach. Loved the vibe of this place. Very chilled out, earthy and no frills. The cocktail menu features things like watermelon gin and everything seems to be freshly made. I asked for a coca cola and the guy looked at me like I had 3 heads! This quirky and friendly place had me dreaming of fish tacos on my Instagram recently. That’s how good it was. We had fish tacos and quesadillas which was so delicious that we could have licked the plate. Sitting inside the H10 hotel in Lisbon, Azul & Branco is an upmarket restaurant. The food was absolutely delicious, the presentation is excellent and we had the best server ever! We had the house red wine because it’s what we could afford but, it is hands down one of the best red wines I’ve tasted! The portions are generous and that includes the food too! The night we went they had a Fado singer and guitarist giving a live performance. A wonderful accompaniment to the delicious grouper fish I had. Dessert was shared and was a beautiful and delicious display of fruit. Definitely would return to this restaurant again. Upstairs Azul and Branco is a roof top bar which is perfect for a drink before dinner so you can take in the sunset. Or, after dinner to watch the stars. If you want to see the sunset, I would suggest going early and getting a seat. It’s could probably seat up to 30 people or less but the best seats are to the front. Cocktails are reasonably priced and delicious. If it’s really busy service can be a bit slow. That’s all from me on this where to eat in Lisbon post. I had a wonderful time in Lisbon and would love to visit again. Have you been to Lisbon before? Where did you eat? Let me know in the comments below. As always, thank you for reading and commenting. Remember you can subscribe on Bloglovin for 2 posts per week.